Kearney State College offered the first business administration degree in 1963. Since then, thousands of students have received an excellent education in our business and technology programs. Most have gone on to productive careers in far-ranging fields, some have reached the highest levels of achievement in their professional endeavors. This award, initiated in 2012 recognizes these highest achievers. 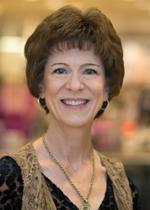 Judy Altmaier serves as President of Exmark Manufacturing Company, a division of The Toro Company. Founded in 1982 and based in Beatrice, Nebraska, Exmark is the leading brand of commercial mowing and turf maintenance equipment for landscape professionals. Before joining Exmark, she was Vice President of Global Operations and Quality Management at the Toro Company with responsibility for manufacturing, supply chain, distribution, engineering services, logistics and transportation. A native of Hartington, Nebraska, Judy graduated from Kearney State College with a bachelor of science degree in business administration, and later received an MBA from the University of Nebraska Kearney. While in college, she started working at Eaton Corporation in Kearney. During her 25-year career at Eaton, she held a number of leadership positions including Vice President of its Global Engine Valve Division in Turin, Italy, and Vice President of Operations for its Automotive Group Americas in Marshall, Michigan. She is a director on the board of the Nebraska Chamber of Commerce and Industry. Judy and Dave Altmaier have two children, Erin (Jon) Watts and Drew (Ali) Altmaier and three grandchildren. 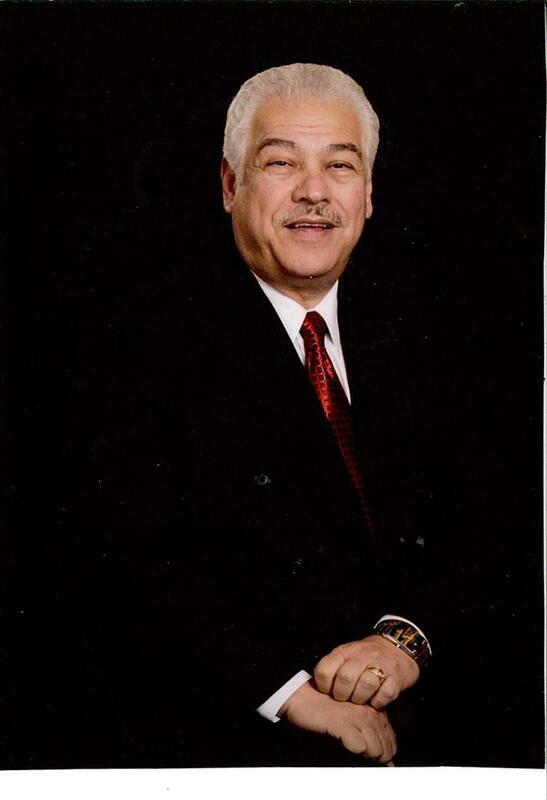 Paul Younes, born in Haifa, Israel, came to the United States in 1972 to attend Kearney State College where he earned a Bachelor of Science in Business Administration. After working diligently as a dishwasher at a local motel's restaurant, he became the hotel manager, which was the start of his career in the hospitality industry. The organization he founded, Younes Hospitality, owns 14 hotels throughout Nebraska as well as the Younes Conference Center. Younes Hospitality was created as a family business with Paul, his wife Linda, their children and spouses, as well as 15 other family members involved in the day-to-day operations. Mr. Younes has attributed his organization's success to the use of a team concept that made the most of employee input. His many service contributions have included serving on the board of the Kearney Area Chamber, CHI Good Samaritan Hospital Foundation, and the UNK Foundation. In 2013, Paul was inducted into the Nebraska Business Hall of Fame. In 2015, he was honored as a Distinguished Nebraskalander at the Annual Statehood Day Dinner. Paul has always believed America is the land of opportunity. He came to Nebraska as a first generation immigrant with dreams to better not only his own life but those of his loved ones. After much hard work and dedication to his community, Mr. Younes made the American Dream come true for him and his family. Robert A "Bob" Phares is President of Phares Financial Services, an independent life, health and financial planning firm. The agency is a 3rd generation business started by Bob's father, Carl, in 1947 and his son, Brian, is a partner today. Bob has been a life & qualifying member of the Million Dollar Round Table for over 30 years, Court of the Table for 8 years and a two-time qualifier for Top of the Table (less than 1% of agents worldwide achieve Top of the Table rank). Bob has received the National Quality Award for over 30 years, The National Sales Achievement Award for over 30 years and is a Continuing Education instructor. 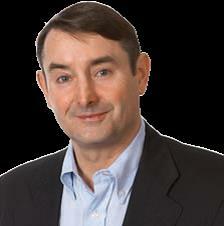 Bob is past state President of the National Association of Insurance and Financial Advisor. Phares was appointed to the University of Nebraska Board of Regents by Gov Heineman in August 2006, elected in November of 2006 to complete the term expiring in 2010, and re-elected in 2010 for a 6 years term. He chaired both the Business Affairs Committee and Audit Committee and served as Chairman of the Board in 2010 and 2015. He was elected Mayor of North Platte at age 28, the youngest Mayor of a 1st class city; he served two terms. He helped engineer the merger of two hospitals into one and the construction of the Great Plains Regional Medical Center where he was a founding Director; he served on the board for over 20 years; eight years as Board Chair. He is the Past President of the League of Nebraska Municipalities and Past Director of the North Platte Development Corp, United Way and Nebraskaland Days. Bob is member of First Baptist Church in North Platte where he has served as Sunday School teacher, Youth Sponsor, Deacon Chair, President of the Congregation and Lay Speaker. He is Past President of the Board or American Baptists of Nebraska and Past Director of the American Baptist Homes of the Midwest. Bob and his wife, Margene coordinated Lay Witness work in Nebraska and served on the National Board of this ministry. They also volunteer annually at Child Evangelism Fellowship and participate in other mission projects and trips. Bob was born in Atlantic, IA and moved to North Platte at age 7. He graduated from North Platte High School. Bob earned a BA in Business Administration from University of Nebraska-Kearney where he graduated with honors. He is also a graduate of the American College, Bryn Mawr, PA where he earned the Chartered Life Underwriter (CLU) and Chartered Financial Consultant (ChFC). Bob is married to his high school sweetheart, Margene, who is a licensed Professional Counselor, now retired. They have three children, Brad, Brian (Kathy) and Amy (Jay Engel) and five grandchildren, Andrew and Sarah Phares and Jordan, Jacob and Adam Engel. Phares has earned many awards over his lifetime: North Platte Jaycees Outstanding Young Man, 1971; Nebraska Jaycees, one of Three Outstanding Young Men, 1972; North Platte High School Distinguished Alumni, 2008; University of Nebraska-Kearney Distinguished Service Award, 1984 and Outstanding Alumni Award, 1984; North Platte Chamber of Commerce Hall of Fame Award, 2004; Rotary District Distinguished Service Award, 1998; Rotary International, Multiple Paul Harris Fellow and Foundation Benefactor; Nebraska Baptist State Award, with Margene, for "outstanding contributions to missions, inside and outside of local church", 1987; National American Baptist President's Award, with Margene, for "outstanding contribution to the life and work of the church", 2009. 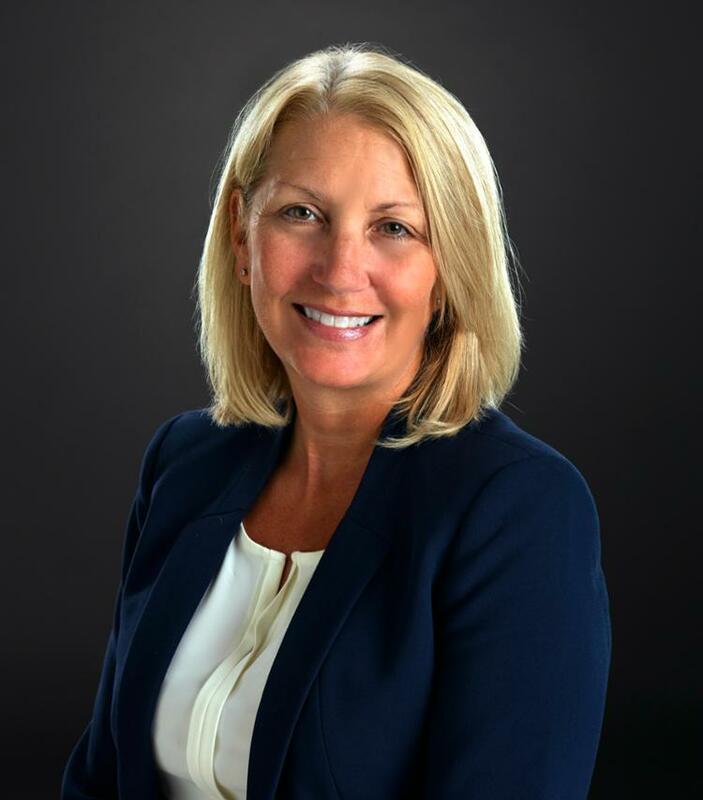 Karen Rhoads became Senior Vice President of Finance and Chief Financial Officer of the Buckle, Inc. after having worked part-time for the company while a student at KSC/UNK. 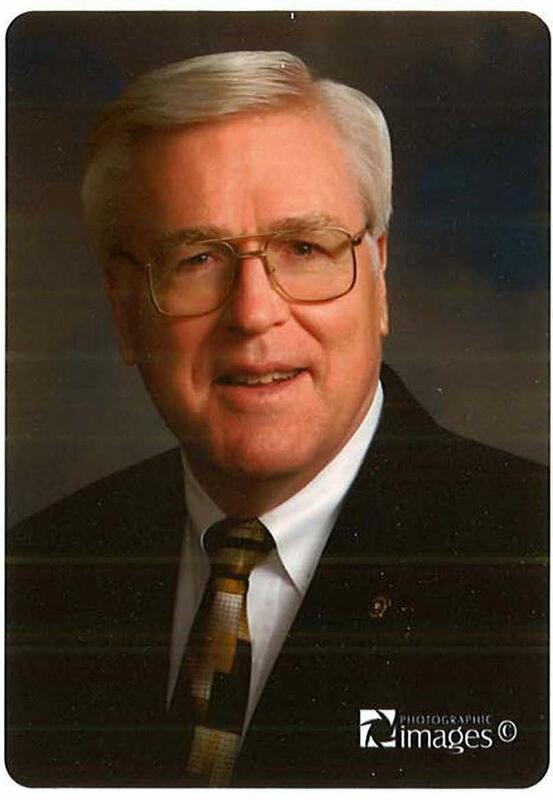 Rhoads' many service contribution include the Board of Directors for the Kearney Family YMCA, YMCA Foundation, UNK College of Business and Technology Advisory Council, Kearney Area Community Foundation, Good Samaritan Hospital, Fort Kearney Chapter of the American Red Cross, and the Kearney Area Chamber of Commerce. Wayne McKinney spent over 60 years with Platte Valley State Bank and Trust Company, a company founded in 1944 that grew into one of the top banking and financial services companies in Nebraska and became part of the First National Bank of Nebraska. As Chairman of the Board and Chief Executive Officer, Wayne was instrumental in leading the company through decades of growth and innovation focused on investing in the people and capital of central Nebraska. In addition to his achievements in business, Wayne McKinney, along with his wife Virginia, created a lasting legacy of service to the region through countless leadership position in civic and non-profit organizations. Kenneth W. Kroeker is currently the chairman and CEO of Lawson Kroeker Investment Management, Inc., an Omaha, Nebraska based firm, which he co-founded in 1986. The company manages assets of high net-worth individuals, foundations and endowments. Measured by assets under management, his firm is one of the largest SEC registered, independent investment advisors in Nebraska. In addition to portfolio management and stock and bond research, he writes a quarterly commentary on investment related topics for clients. Mr Kroeker and his firm were recognized in the Midlands Business Journal in March 2006 on their 20th anniversary. Larson Kroeker was also featured in the Omaha Business Profiles section in Forbes entitled "investment Strategy is More than a Formula" in February 2004. Prior to co-founding Lawson Kroeker, Mr. Kroeker began a 17-year investment career in the Trust Investment Department at the Omaha National Bank/FirsTier Bank in 1969, and served as Department Chairman his last nine years there. 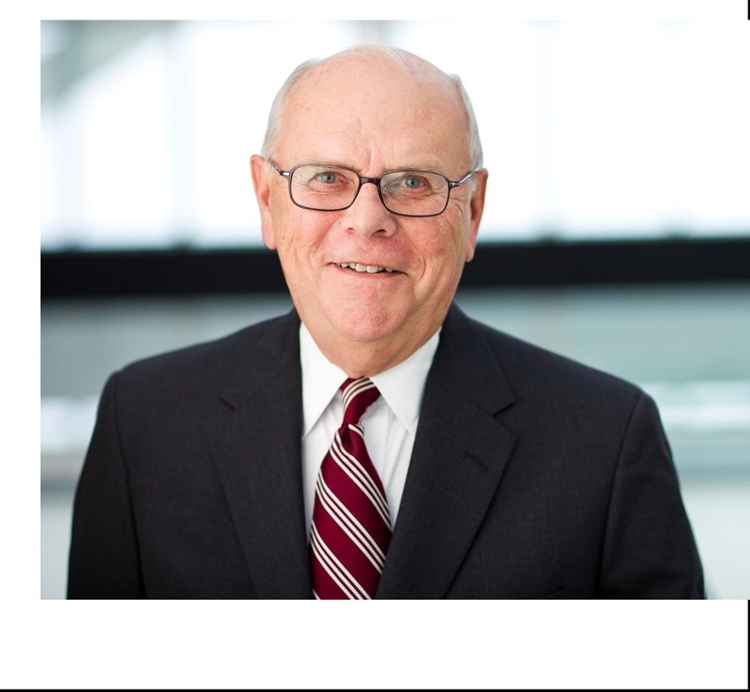 During those years, he received his Chartered Financial Analyst designation in 1974 and served on the Board of Directors of the Omaha-Lincoln Financial Analysts Society (now CFA Society of Nebraska) from 1976-1984 and as its president in 1982-1983. Mr. Kroeker is a 1961 graduation of Nebraska State Teachers College (now University of Nebraska-Kearney) earning a B.A. in Education with an emphasis in Accounting and Economics. He taught high school business courses for a few years before receiving an M.A. degree in Finance and Accounting from the University of Nebraska-Lincoln in 1969. As part of his continuing education, Mr. Kroeker has participated in the Investment Management Workshop programs offered by The Financial Analysts Federation held at several graduate schools of business administration. During his career, Mr. Kroeker has been actively involved in various professional and civic organizations. These affiliations include, member of the Association for Investment Management and Research (now the CFA Institute) since 1969, Cooper Village Board of Directors form 1997-2002 and Chairman of Cooper Village Board from 1998-2001, member of Downtown Omaha Rotary since 1987, serving on the Downtown Rotary Foundation Board from 1994-2012 and on the Free enterprise Award Committee from 1987-2007, and long-time member of the Greater Omaha Chamber of Commerce, serving as West Council Chairman in 2004. Kenneth Kroeker and his wife, Victoria Nemecek Kroeker, a retired accountant, reside in Omaha. Victoria is also a graduate of Kearney State College (now University of Nebraska-Kearney) and the University of Nebraska-Lincoln. They have one daughter who works in securities compliance and regulation in the finance industry in New York. In 1970, while attending Kearney State College, Dennis began working at Buckle as a part-time salesman. After graduation, he stayed on at Buckle, taking on a significant leadership role in the small company. Dennis was instrumental in the decision to expand Buckle beyond its initial location in Kearney. Since that time, the Company has grown to over 430 stores in 43 states. Dennis was elected president and Chief Operating Officer in 1991 and Chief Executive Office in 1997. He understood early on that building a loyal base of customers was critical to the Company's success. To capture that loyalty, Buckle offers a wide selection of quality merchandise and outstanding service with an unwavering focus on the Company's mission of creating the most enjoyable shopping experience possible for its guests. Dennis also understood the importance of recruiting, developing, and empowering a talented and motivated team to help fulfill this mission. From salesman to CEO, Dennis helped shape Buckle into a strong and growing retail brand. As the Company continues to expand into new markets, his vision, integrity, and passion for the business remain central to the Company's success.